Just a heads up that we are doing some maintenance this weekend and the ‘Sign Up’ and ‘My Account’ sections will be unavailable from 5pm Friday April 11 until the morning of Monday April 14. How should you compare electricity and natural gas utility options for your home? Many Albertans are uninformed about the options available to them when choosing utility services (power and natural gas) for their home. They may be unaware of how deregulation has affected their choice and how sometimes the regulated option may not be the best one for them. Since 2001 for Electricity and 2004 for Natural Gas Alberta residents have had the ability to choose to receive their power and gas from a retailer regulated by the Alberta Utilities Commission (AUC) or from a competitive retailer like Park Power. The AUC reviews and approves the rates charged by the regulated providers, in the Edmonton region these are EPCOR for electricity and Direct Energy Regulated Services for natural gas. If a customer chooses a regulated retailer, the rate the customer pays will change every month based on the market price for either electricity or natural gas. If the customer chooses a competitive retailer they will have the option of choosing to pay the floating (market) rate or paying a fixed rate for a prescribed term through a contract. One of the most important things to understand when considering a regulated or competitive retailer is that your choice or retailer does not affect the delivery of electricity or natural gas to your home, only the price you pay for it. The delivery to your home will still be made by ATCO Gas or AltaGas for your natural gas service and EPCOR, Enmax, ATCO Electric or FortisAlberta for your electricity service. Here is a comparison of our current rate offerings to your options from the big retailers operating in the Edmonton region. Park Power’s current electricity Discount Fixed Rate – 6.3¢/kWh Guaranteed until Dec. 31, 2020 and free to cancel with only 10 days notice. Park Power’s current electricity Variable Rate – May 2017 Rate 3.71¢/kWh (6 Month Average 3.70¢/kWh). Free to cancel or switch rates at anytime. A Sherwood Park, AB company independently owned and operated serving customers all over Alberta. Direct Energy competitive electricity 3 year fixed rate 6.99¢/kWh Cancel for free if you give 30 days notice. North American head office in Houston, TX and a subsidiary of UK bases Centrica PLC. Enmax 5 year fixed electricity rate – 6.59¢/kWh. Cancel for free if you give 30 days notice. Headquartered in Calgary, AB aiming to deliver long term value to its largest shareholder, the City of Calgary. Just Energy 5 year fixed electricity rate 6.59¢/kWh. Pay a $75/year exit fee should you cancel before the 5 year term is up. 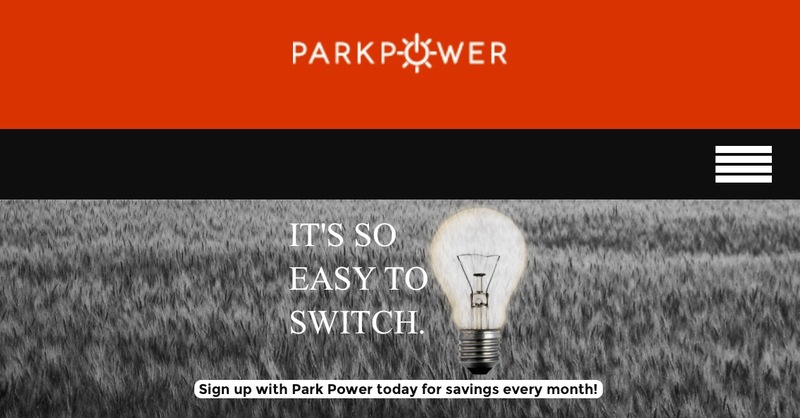 To me it seems like an easy decision to shop local and sign up with Park Power but the choice is up to you. Park Power is a company that is aiming to be a positive member of our community. Through our Community Partner program we have committed to sharing our revenue with positive, local charitable non-profit organizations and we are happy to announce the addition of our latest Community Partner, The Festival Place Cultural Arts Foundation or FPCAF for short. In 1999 the Festival Place Society was originally formed to oversee all aspects of Festival Place. In 2010 the registered charity found itself without a purpose when Strathcona County took control of the entertainment facility. Between 2011 and 2012 the remaining members of the Festival Place Society decided to continue to keep the organization alive and formed the FPCAF. The FPCAF works towards educating and increasing the public’s understanding and appreciation of the arts; to provide assistance, both financial and educational, to charitable and not-for-profit organizations; and to advance performing arts in the community. The group also provides support to local performing artist through scholarships that aim to recognize and support our local talent. Park Power looks forward to the positive work that the Festival Place Cultural Arts Foundation will continue to do in our community.